For decades, dog owners have been following one new diet trend after another. From grain-free to raw and limited-ingredient diets, there’s always something new to try. More recently, people have begun to feed their dogs a ketogenic diet as a way to treat or cure their cancer. There is no question that what we feed our dogs impact their health but will feeding a dog with cancer a ketogenic diet cure them? Read on to find out. A ketogenic diet is one that’s high in fat, contains moderate levels of proteins and is very low in carbohydrates. But why feed your dog such a diet? What does giving them fewer carbs and more fat lead to? All of the cells in our body need energy to grow and survive. They get this energy from different sources. The primary source from which cells derive energy is glucose, a simple sugar that circulates in the blood. It get broken down into various products and ultimately produces energy which the body’s cells use a fuel to carry out their various functions. Carbohydrates are a good source of glucose. So when you feed your dog carbohydrates, they’re digested and broken down into glucose which provides your dog’s cells with the energy they need. But when the availability of carbohydrates is limited, an alternative source of cellular energy is needed. This alternative source is usually fat. When fats rather than carbohydrates are used for energy, it results in the production of glycerol and fatty acids, rather than glucose. It also pushes the body into the metabolic state called ketosis. During ketosis, fats are metabolised (broken down) by the liver, which leads to the production of ketone bodies. These ketone bodies are then transported via the blood to tissues, where they’re eventually converted into energy. Among the perceived health benefits of a ketogenic diet is that by using fats as an alternative energy source, they are burned faster and so can’t be stored, which can help your dog to lose weight, or maintain a healthy weight. Another perceived benefit of the ketogenic diet is that it can prevent and cure cancer. But where does this idea come from? The Warburg Effect is a well-known biochemical observation. It shows that cancer cells have a far higher rate of glycolysis (the process where glucose is broken down) compared to their healthy counterparts. It also means they require and utilise more glucose than healthy cells. This increased use of glucose is in part what allows cancer cells to grow and divide so quickly and so often, a defining feature of these cells. Because of the way carbohydrates are broken down, they’re a rich source of glucose. But the way fats are broken down isn’t; they produce glycerol instead, meaning breaking down fats limits the amount of glucose available to cells. This is where the idea (or perhaps a better word is myth!) of a ketogenic diet being a cancer cure comes in. Cancer cells require a lot of glucose (energy). Cutting out carbohydrates (a rich source of glucose) will reduce the amount of it available to cancer cells to use. And using fat as an alternative energy source won’t work because unlike healthy cells, cancer cells can’t use ketone bodies as an energy source. All of this suggests that cutting out carbohydrates and forcing the body into a state of ketosis would cause cancer cells to die. Unfortunately, like most things, this idea is too simple to be true. As well as showing that cancer cells have a higher rate of glycolysis than healthy cells, the Warburg effect also hypothesises that cancer is a metabolic disease. However years of research have shown that while altered metabolism (the way things are broken down) can play a role in the development and progression of cancer, it is by and large a disease caused by genetic mistakes. This means that following a ketogenic diet as a way to treat cancer will not work. On top of this, there’s no strong scientific evidence that a ketogenic diet works as a cancer treatment in dog’s (or humans for that matter). The research that has been done has for the most part been done in the lab and in small animals such as mice. There have been a few very small studies done in humans (you can read about some of them here), but again, these are too small to draw the conclusion that a ketogenic diet can cure cancer. They also don’t prove the diet can cure cancer in dogs. For that, there’s no evidence. 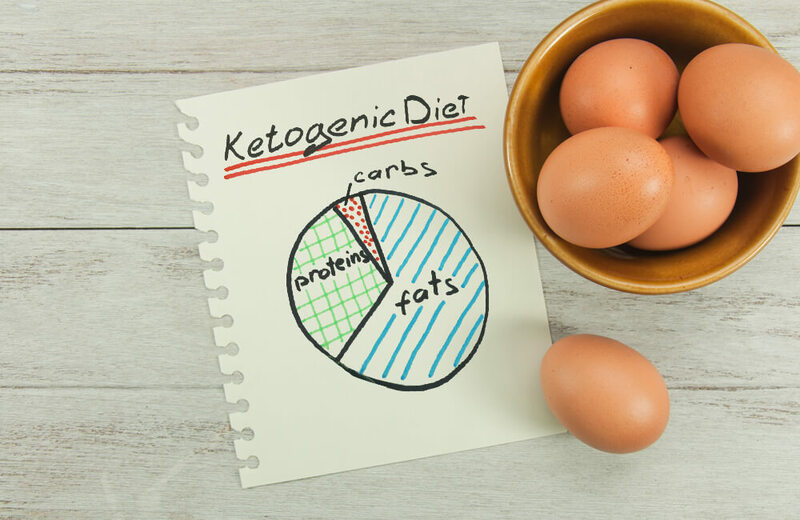 There have been reports that following a ketogenic diet during cancer treatment could be a good thing and potentially improve how well the treatment works. But again, these studies are small and were not carried out in dogs. It’s also important to note that saying a diet could potentially improve cancer treatment is in no way the same thing as saying that diet can cure the disease. If your dog is receiving cancer treatment, it’s important to feed them a healthy, balanced, nutritious diet. Speak to your vet about what this would look like for your dog as it will vary depending on the type of cancer they have and on the treatment they’re receiving. On top of the fact that there’s no solid scientific evidence to show a ketogenic can in any way treat or cure cancer, putting your dog on such a diet could cause side effects and damage their health. Some of the more short-term (acute) side effects prolonged adherence to a ketogenic diet can cause include your dog becoming lethargic and lazy, vomiting because of the amount of fat being eaten, general gastrointestinal discomfort and pancreatitis. There is evidence showing that a ketogenic diet can also cause more long-term (chronic) problems include kidney damage, development of kidney stones and bone mineral loss. Rather than follow a fad, it’s best to speak to your vet about what’s best for your dog, especially if they’re going through cancer. Each dog is different, meaning they will have different dietary requirements. But above all else, remember that if something looks too good to be true, it probably is. Cancer is an incredibly complex disease, and no one thing will cure all types. There is an arsenal of treatment options available to treat the disease, all of which are based on good, well carried out, strong science. So rather than listen to the quacks out there, follow the science, and give your dog the best chance of surviving this awful disease. This entry was posted in Blog and tagged best cancer diet for dogs, cancer diet for dogs, cancer in dogs, cancer treatment in dogs, dog nutrition, dogs, food for cancer, high fat diets, ketogenic diets, ketosis.